There are dozens of fitness trackers out on the market these days and sometimes it’s hard to make a decision on which one to get. While there are certainly some high-end models that can be found for well over $200, you definitely don’t have to spend an exorbitant amount of money to get a tracker to fit your needs. And while in most cases a high ticket price makes for a better product, there are many effective options for a sensible price. 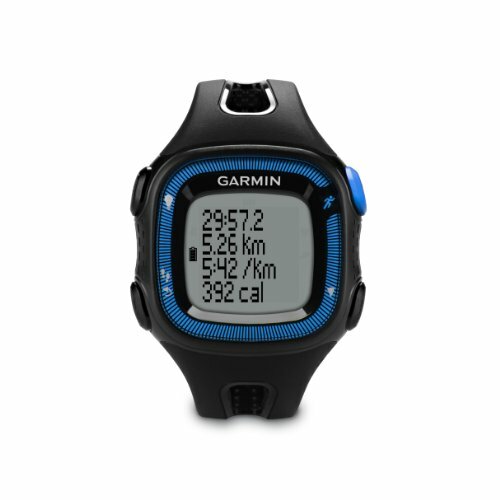 The Forerunner is made by Garmin who are most often recognized by their excellent GPS technology. The Garmin Forerunner tracks all the basics such as your steps, calories, distances and it even has an inactivity reminder that will sound if and encourage you to keep moving. Compared it to other trackers, the Forerunner 15 has a large LCD screen that makes it a great option if you wear glasses or just want easily readable information. It also has 4 exterior buttons that make navigation smooth and efficient. Boasting a battery life of 8 hours when the GPS is on and a whopping 5 weeks in normal watch and activity tracking mode, the Garmin Forerunner 15 is an excellent option if you struggle with keeping things charged. Notable features for the Forerunner 15 are the option to get it with heart rate monitor for added effectiveness and still comes in under $100. There’s also an auto pause function that will pause your tracking when it detects brief periods of inactivity. This is perfect for urban running settings where waiting for multiple crosswalks and traffic lights is not uncommon. 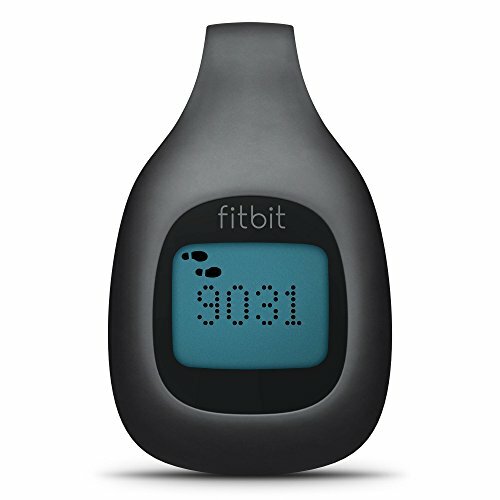 If you constantly wonder, “Why can’t fitness trackers just be super simple?” then the Fitbit Zip is probably what you’re looking for. This neat little gadget is a great choice if you’re looking for something that is simple and on the low-tech, less fuss side of things. The Fitbit Zip isn’t your typical watch replacement as it’s actually a small clip, no larger than a key fob, that you can wear somewhere besides your wrist. If you want to track the bare essentials but don’t want to bother with something on your wrist, then this is a strong option for you. It measures the basics such as steps, calories, distance all within a waterproof casing so you won’t have to worry about it getting wet. It also [boasts] a battery that will last 6 months so you don’t have to worry about charging it. As if that wasn’t hassle-free enough, the Fitbit Zip requires practically nothing from you. All you have to do is wear it and it takes care of the rest. It even resets itself at midnight so you can just grab it clip it on your way out the door in the morning. Though it is small and basic, Fitbit did include the options for fitness alerts and the ability to earn fitness badges that help to keep things interesting and help keep you motivated. The Fitbit Flex 2 is super slim and sleek fitness tracker that uses a series of 5 small, color-coded LED lights to relay your information. Though it’s available in 4 different colors, the tracker is so discrete that color choice won’t play as much of a factor as it might with other trackers. 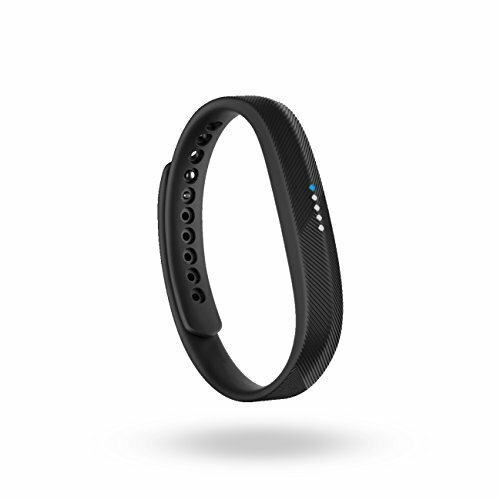 It tracks all of your basic fitness tracking needs— steps, calories, distance, etc. But the Fitbit Flex 2 also has a sleep tracker that gives you insight into the amount and quality of sleep you’re getting. It has its own share of notable features such as its notifications feature. You can receive call and text notifications from your phone as discrete vibrations on your tracker. Great for putting your phone down but not missing any important calls or messages. One of the more flexible features is the fact that the tracking unit is removable. So you have the option of dressing it up by placing it in either a hand-polished bangle on your wrist or a [fancy] pendant around your neck. Not only is this a splash-proof option, but it’s also swim-proof so this is a great choice if you’re looking to incorporate swimming into your training regimen. Do you focus heavily on exercising other than running and swimming? If you’re more into weightlifting and want a fitness tracker that suits your needs, then the Atlas Wristband 2 is probably a great choice. This tracker stands apart from others in that it uses their Adaptive Motion Tracking to sense what kind of exercise you’re performing and calculating reps and sets along with your biometric data. Having to remember to bring an additional heart rate chest strap with you every time you workout can be a hassle. 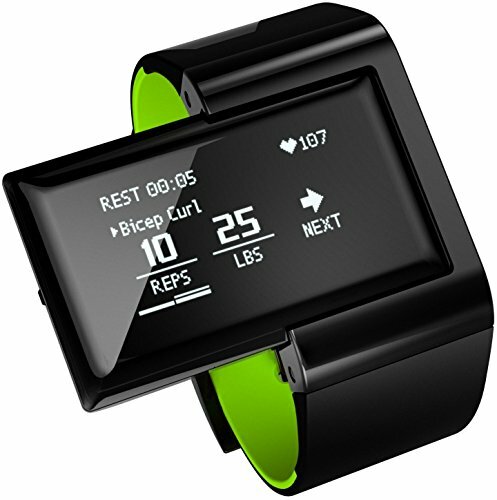 But the Atlas Wristband 2 bypasses this by having the heart rate monitor on the wristband. This is a great option if you’re more interested in things like Crossfit, or HIIT type fitness programs as it has fitness coaches that will guide you through your workouts. With a dive rate of up to 30 meters, this is also another option for swimmers. The Misfit Shine 2 is a great choice if you’re looking to have a good looking watch that can also track all your fitness stats. This anodized aluminum disc features 12 multicolored LED lights around its edges that represent digits on a clock when in watch mode. 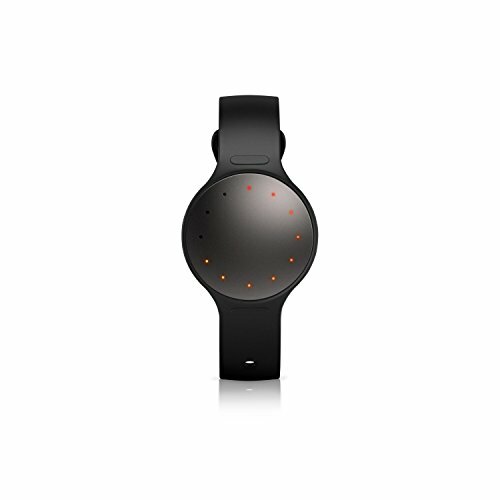 It tracks all the basics such as steps, distance, and calories but also has a sleep tracking option. Even though there’s no display, that doesn’t stop the Misfit Shine 2 from being super useful. A notable feature of this tracker is it’s ability to create training programs specific to your needs. It will collect and analyze your fitness data and will create programs that are increasingly difficult so that you’re always getting better. Available in 3 colors, including the beautiful rose gold option, it also has a battery life of 6 months so you don’t have to bother charging it. With seemingly hundreds of options for fitness trackers these days, choosing one that fits both your needs and your budget can be tricky. Hopefully this list has helped you explore 5 different but quality options for under $100. Let us know what you think in the comments below and you never know who else is wondering the same questions as you so be sure to share this with your family and friends.